I am taking a break from the expected holiday recipe posts to include some of my new favorites for Thanksgiving (and general) holiday entertaining. You still have some time to order things without incurring a rush charge! If you’re bringing wine as a hostess gift, wrapping it nicely is a much classier presentation than just handing your friend a naked bottle. 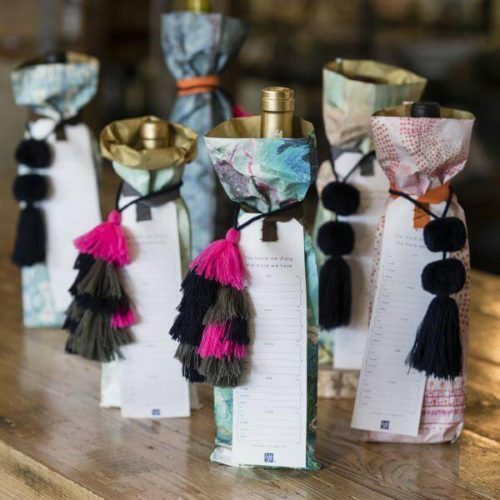 My new favorite are these super cute reusable wine bags from MIXT Studio. I love all the different prints and the gold interior. Adorned with a with a tassel-pom and a unique “traveling tag”, each earth-friendly bottle bag shares the story of where it’s been as it gets gifted forward. The tag features five write-in slots (each with to, from, event, date), meaning each new recipient can see the bag’s journey as it get reused. The tag is also printed with the inspirational message “The more we share, the more we have.” Cheers to that! You can find the bags on the MIXT Studio website along with other cute stuff. I had been using a glass 3-tiered pedestal for desserts for years, but I wanted to add a more modern stand to the mix and I found this one at Crate and Barrel and I love it! It is very sturdy and the perfect height. The marble on my stand has more beige/pink veining than the photo, but I like it all the same. 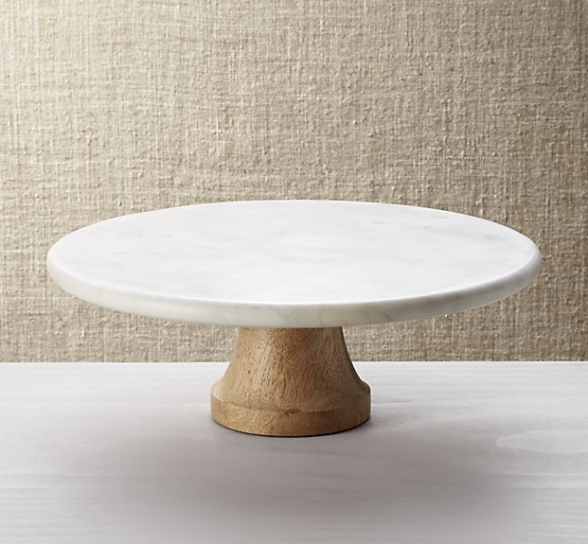 Even though I primarily use this pedestal for serving desserts, it is also nice for cheeses or breakfast baked goods. Of course, I have Thanksgiving pie on the brain right now! Available at Crate & Barrel or online. There are other retail outlets with wood marble pedestals as well, including Williams-Sonoma and Cost Plus World Market. You likely have a few “half sheet pans,” which are one of the most indispensable items in my kitchen. Half sheet pans are about 13 x 18 inches. 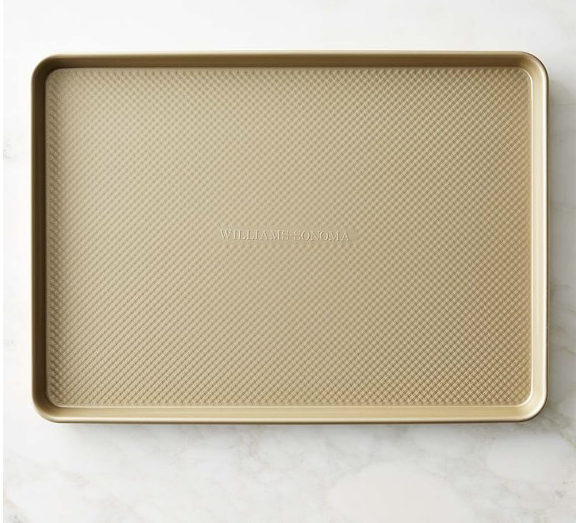 But if you have a standard oven, you could be maximizing the space in your oven with a “three quarter sheet pan” which runs about 15 x 21 inches. This size really uses up the width of the oven perfectly (unless you have a very old oven) which means you can roast more vegetables at one time! Williams-Sonoma carries this size, as do other retailers. Don’t stress out about feeling like you have to make everything from scratch on Thanksgiving. If it makes you truly happy to do that, great. 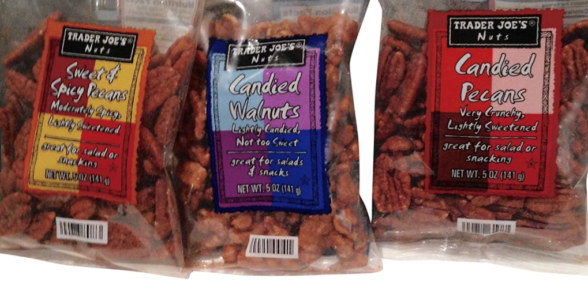 But if it’s going to put you over the edge to candy some pecans, I am here to give you my blessing to go to Trader Joe’s and buy their candied pecans, candied walnuts, or (my personal favorite) sweet and spicy pecans. They will make any salad or cheese board feel and taste more festive and no one will care that you didn’t make them. I always have great luck with Trader Joe’s nuts which are always fresh and not rancid-tasting. Other speciality nuts that I buy regularly at Trader Joe’s are the truffle Marcona almonds and the rosemary Marcona almonds. They are both awesome on a cheeseboard or chopped (or whole) in a salad or on a platter of sautéed green beans with shallots. Why is vegan butter a holiday entertaining Friday Favorite? Because almost everyone I know who is hosting Thanksgiving dinner has a guest coming who is allergic to dairy, kosher, Whole30, vegan, or all of the above. I get so many questions in my Thanksgiving classes about making substitutions, especially with dairy because it is so prevalent in Thanksgiving recipes. My husband recently went vegan (long story) and we’ve been trying out all the new vegan butters and cheese and such. Our new favorite is Miyoko’s Kitchen vegan butter which can be found at Whole Foods and Trader Joe’s or on their website. The ingredients include organic coconut oil, water, organic safflower or organic sunflower oil, organic cashews, non GMO soy lecithin, sea salt, and cultures. This “butter” melts and feels like real butter, even on toast. I made a pie crust out of it and it turned out great! Click here for all my previous Five Friday Favorites! « Planning a Happy Thanksgiving 2017 – 2 Weeks and Counting! Pamela…you are fantastic. You answer emails, find us wonderful products……I don’t use all, but I use a lot, and then there are your recipes!…..thank you so very much! I’m now in S America for the winter, so can’t buy much here…..but I save up your suggestions and splurge on my return. We’re lucky….most four here is organic and not GMO soiled. Thank you for the kind words. 🙂 Lucky you! Enjoy! Thank you for including dairy-free/vegan options, Pamela! You’re welcome! Even if I don’t, you can always ask because I’ve usually tried the recipe multiple ways to accommodate different dietary options. 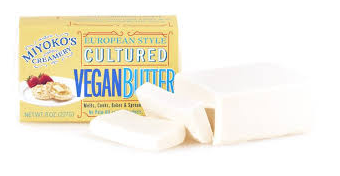 Looking forward to trying the vegan butter!!! Also, because you are so in-the-know, might you know what’s up with Kite Hill products? I thought I learned about them from you, and their products are a heavenly alternative to dairy products. Their almond milk ricotta and almond milk cream cheese are really wonderful. For some reason, everyone (including Whole Foods) has been out, but no one knows why? I don’t know why either, but I know they launched some new products recently and I wonder if they just didn’t have the bandwidth to keep up with all their other products at the same time. Just a thought, but it’s annoying LOL. There’s a Pamela’s Creamery? I must check it out. The Kite Hill cream cheeses are divine!